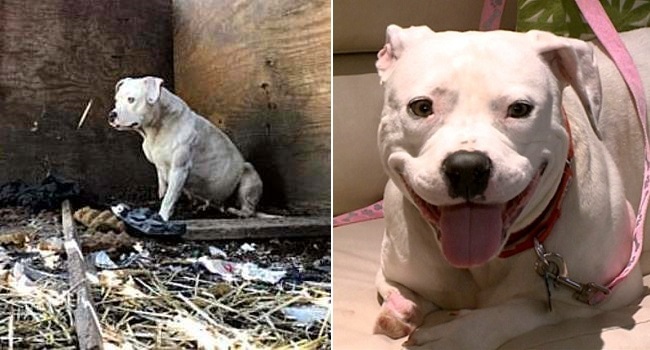 When Treya’s owner was killed, no one rescued her, so she spent the next five years chained up under the deck of the abandoned home. Neighbors fed her, but no one bothered to call animal control. 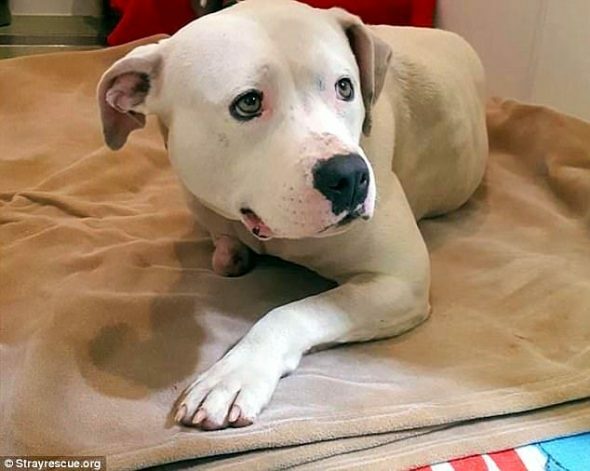 The chain got itself wrapped around her paw so tightly that she gnawed her foot off to free herself, but she has since been rescued and is receiving lots of love – and hopefully soon, a new foot. 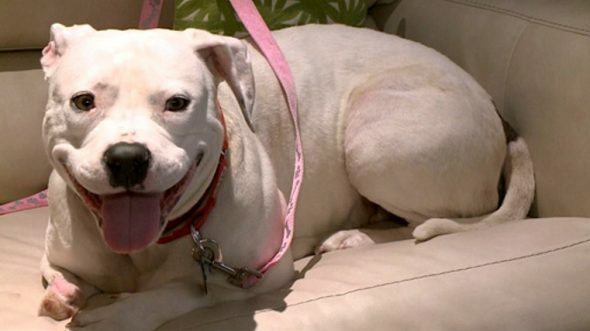 It is truly mind-boggling that not one person in five years called to have Treya rescued when her owner was murdered. But at the very least, her St. Louis neighbors provided her with food and water, and straw to help keep her warm in the winter. At some point, the chain keeping her bound to her open dungeon became tightly ensnared around her paw, causing her so much pain that she chewed it off. 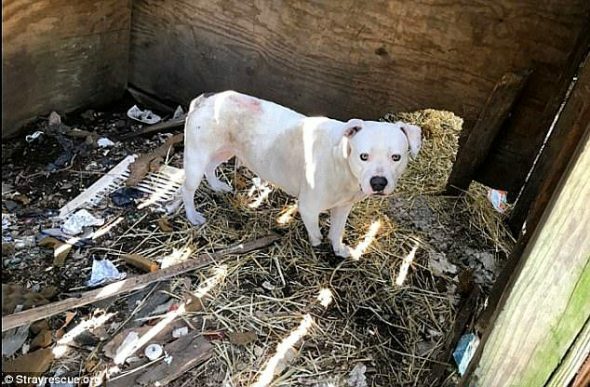 When police were finally called, Stray Rescue of St. Louis was contacted to take her in and get her the medical care she needed. In addition to the paw injury, she was loaded with fleas and found to have a major heartworm infestation, all of which will cost over $3,000 to treat (including a prosthesis). She will also need a lot of emotional rehabilitation. She’s now being cared for in a medical foster home, being given all the love and physical comfort she’s been lacking for so long. Hopefully she will land herself a permanent home soon. “It’s a sad, tragic story with an amazing ending,” said Randy Grim, the group’s founder. If you would like to help Treya get all the medical care she needs, as well as a prosthetic foot, please click here and scroll to the bottom. what the actual F**K is WRONG with people??? NOBODY thought to call someone to help this poor dog??? for FIVE YEARS?? ?